Here in the Southern Hemisphere, we are lucky to be able to enjoy an outdoor Christmas. We may not get to have the “White Christmas” experience but there is something equally as special in gathering with family and friends and relaxing in the sunshine on your Christmas Day. We've put together some ideas for making the most of an outdoor Christmas. Set up your outdoor table and chairs on the deck, patio or straight on the grass under a shady tree. Use branches, leaves or flowers from the garden to decorate the table or backs of chairs. Hang lights, paper lanterns or Christmas bunting from trees. Bring a small table or coffee table out to use as a drinks station with fresh mint in the punch and lemon slices or edible flowers set into ice cubes. Young kids may enjoy eating picnic-style on a blanket next to the adults table – think about how much time you'll save cleaning up too! Bring some outdoor speakers or bluetooth speakers outside to have your favourite Christmas tunes or carols playing. Think about BBQ-friendly Christmas dishes you can cook outdoors. 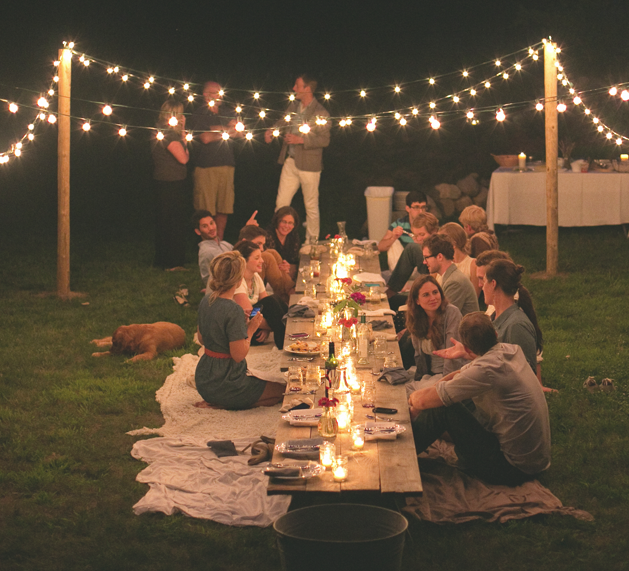 If you love decorating for Christmas then why not bring the festivities outdoors too! 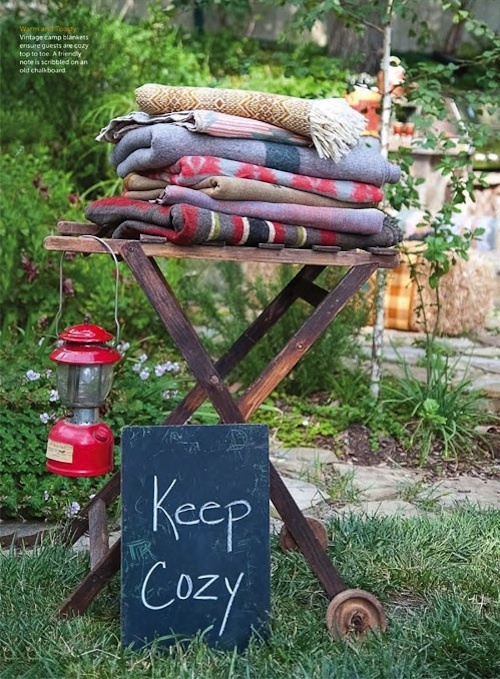 Decorate outdoors using solar lights hanging from trees, draped over hedges or use the sort that stake into the ground. Big bows on your front entrance gates look amazing, or choose a tree in your yard and decorate it like a Christmas Tree! Add baubles to hanging baskets, potted plants or hanging from fence pickets. Great crafty by creating your own outdoor Christmas decorations. A great weekend activity to do with the kids or Grandkids. We've found a fantastic blog post which gives some great ideas. Think about the excitement and pride when, each year, you pull out the lovingly made decorations from years before. A fun tradition to do with young children is to leave carrots out for the reindeer on Christmas Eve night. Decide on the place where they think Santa and his sleigh will stop and pop a few carrots out on the lawn – just don't forget about them in the morning! Use fruit, vegetables or herbs from your garden to make small jars of jam, chutney, pesto or mint sauce to name just a few. These make thoughtful gift for loved ones or to give as a host gift. Tie a Christmas ribbon around the neck of the jar and attach a label, sticker or swing tag with your message. There are also beautiful stamps and stickers you can buy at most craft stores which say “Made with Love” or “Handmade” to add that extra personalised touch. 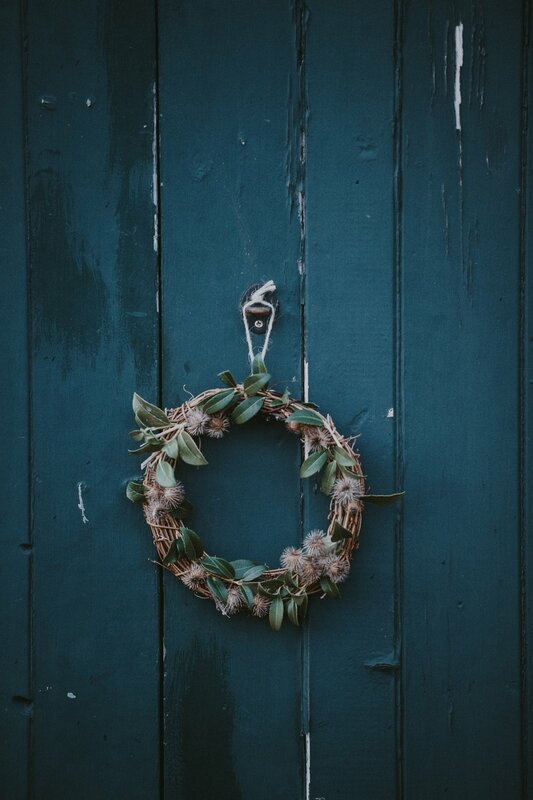 Make your own wreath to hang at the front door or to decorate the mantle piece. Use branches, dried flowers or succulents from your garden to create your masterpiece. 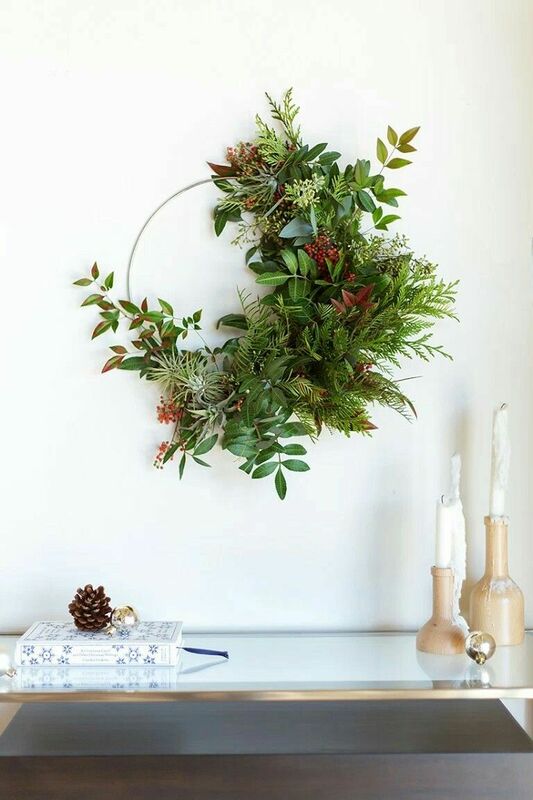 You can buy a woven circle of branches from a craft shop and then add your own decorations to it. Otherwise use your own branches, a tapestry hoop, wire coat hanger bent to shape or even a piece of cardboard cut into a circle with a hole in the middle. 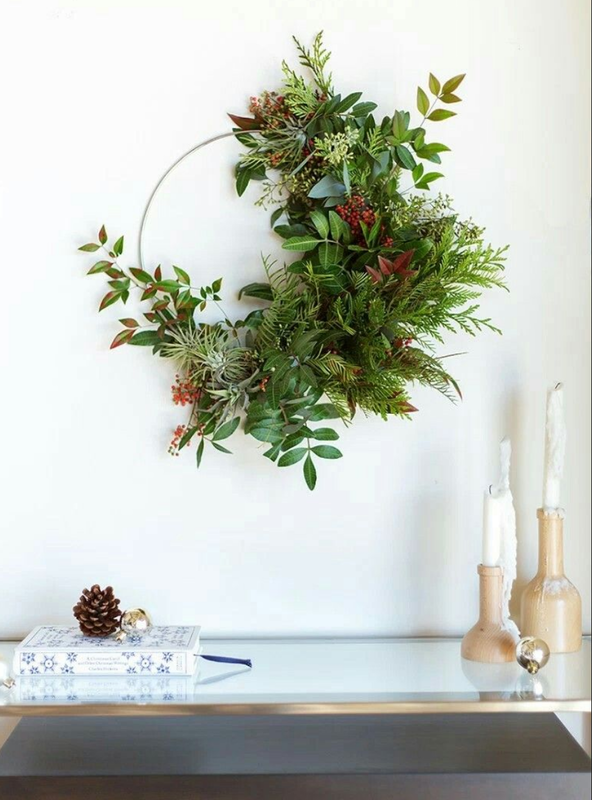 Attach the flowers, leaves or branches using florist wire and you can embellish with ribbon baubles or even battery powered lights! Take a look at the examples below, from complicated to very simple. Succulent plants are easy to grow. One small cutting can turn into a beautiful, full pot in no time which you can then separate out. They are the perfect type of plant for creating a mini garden to give as Christmas gifts. The image above is from website https://www.shopterrain.com/article/propagating-succulents which gives great tips on all things succulents. 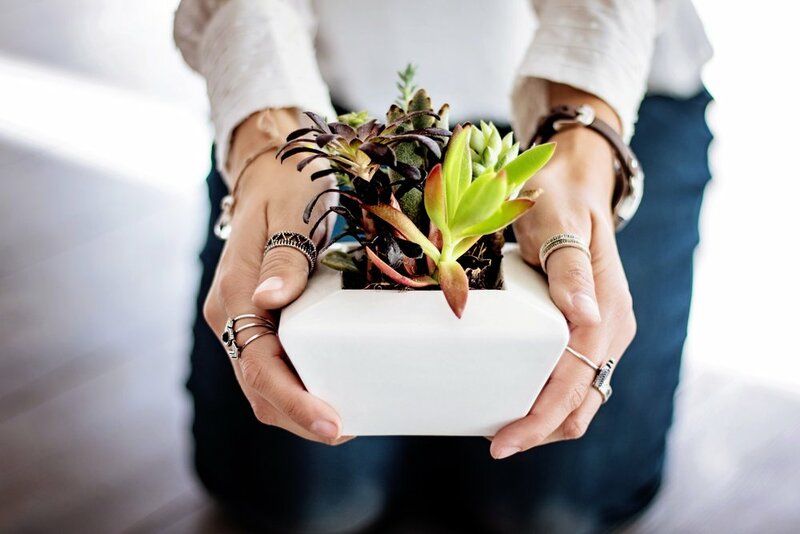 Plant succulents into a small pot or jar or create a beautiful Terrarium using a glass vase or glass terrarium with soil, rocks and moss as per the example above. They make a beautiful, inexpensive and long lasting gift. What better way to keep everyone entertained on Christmas day than by playing games on the lawn! Giant Garden Games are so much fun, take a look at the games available at The Big Game Company. Sure to get everyone out of their chair and entertained for ages! What about Croquet, Boules, Kubb or Badminton! You can bet the younger generation haven't even heard of these games and the older generation can teach them a thing or two! So there you have it, some ideas to help you embrace our summer Christmas. Do you have any other ideas? Comment below, we'd love to hear them!